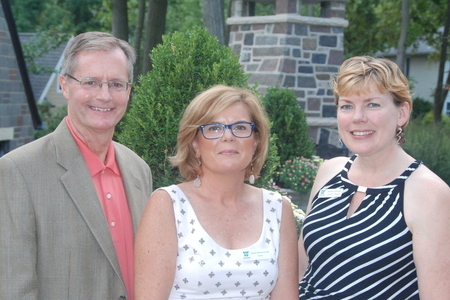 Past Presidents Charlie Weidman and Colleen McDonald Maz & Executive Director Deirdre Gelinne at the annual Pillar Party, honoring the members of the Pillars Club for their loyal support. The Pillars Club was created by the Westfield United Fund in 1988 to stimulate local leadership giving among caring individuals. It is for those whose generosity reflects an extraordinary concern for our town and the needs of its people. We invite you to become a member of the Westfield United Fund Pillars Club with an annual gift of $500 or more. Please contact us to learn more. Thank you!